Petunia taking a dust bath. Note: This post may contain affiliate links. See the affiliate disclosure at the bottom of this page for more information. Everybody loves a spa day. But for chickens, a dust bath isn’t a luxury or a treat, it’s a necessity. Chickens need to bath in dust regularly for their overall well-being – to clean themselves and stay parasite-free. 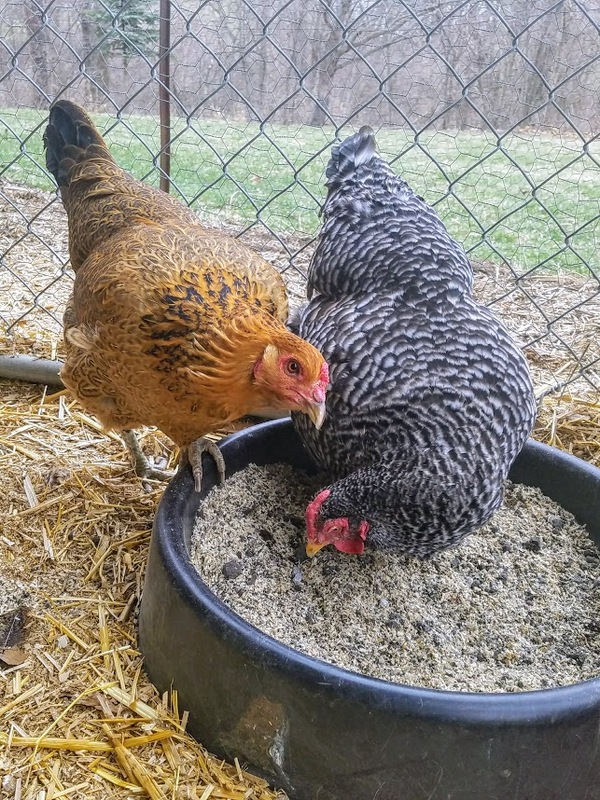 Chickens will make their own dust baths by digging bowl-shaped holes in the dirt. They’ll roll around in the holes and kick loose dirt over themselves. To the unsuspecting, seeing a chicken in a dust bath can be kind of alarming. For the rest of us, it’s just entertaining. My chicken pen has two dust baths for five chickens (they share and take turns). 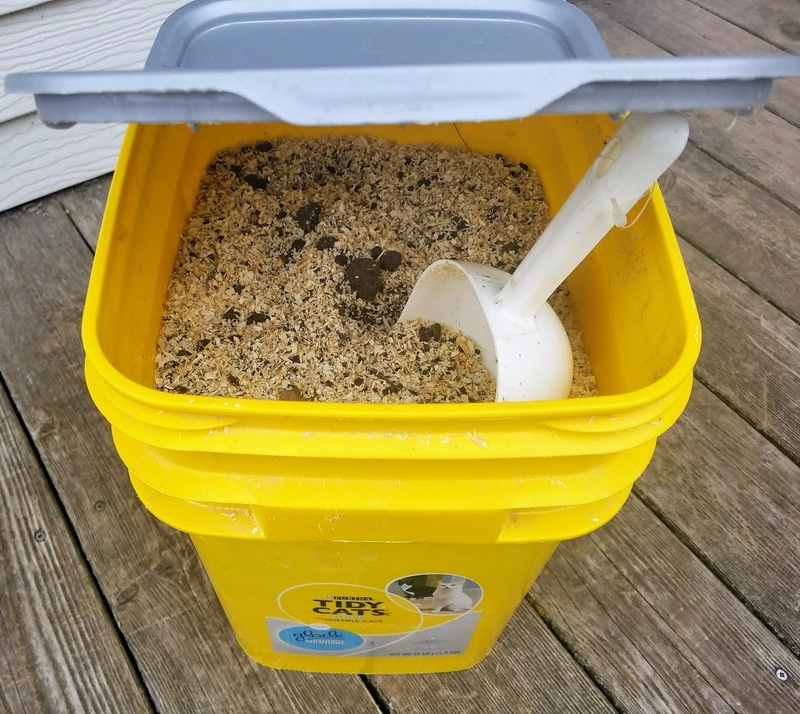 I keep the tubs filled by making a big batch of dust bath mix in a repurposed cat litter bucket with a lid. I then store the extra mix in the bucket until I need it. 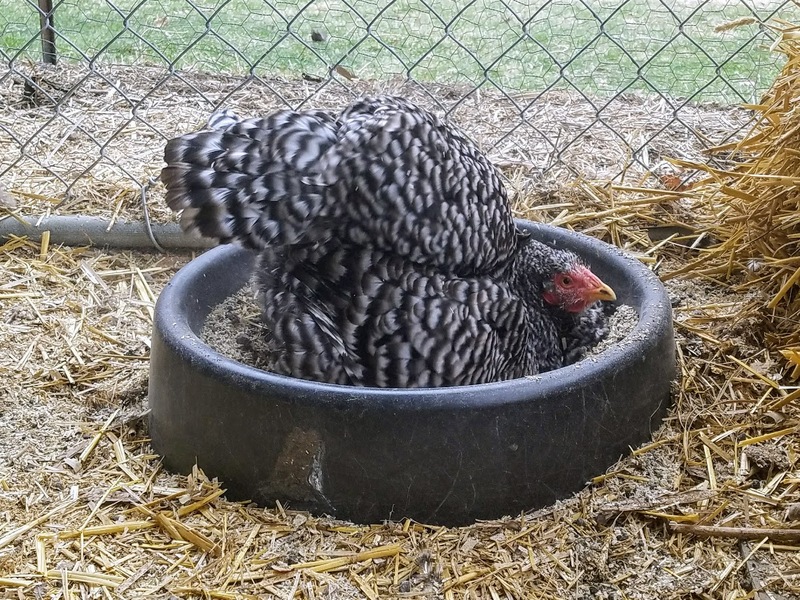 To help your own chickens meet their important hygienic needs – and give yourself some entertainment – see below for step-by-step instructions for making your chicken dust bath. Fill a cat litter bucket with lid or other large, lidded bucket about 3/4-full with fine wood shavings. I use America’s Choice Premium Mini Flake All Natural Animal Bedding from Theisen’s. Add organic potting soil to fill the bucket. I use the leftover soil from last season’s garden containers. Mix the soil into the wood shavings with a trowel. Then, add 1/2 cup food-grade diatomaceous earth (DE) and mix in thoroughly. A note about DE: I am judicious in my use of DE to avoid causing chicken respiratory problems, which may occur from breathing in too much of any dust. At small amounts blended into a dust bath mix, DE simulates matter occurring naturally in soil and may provide protection against parasites. 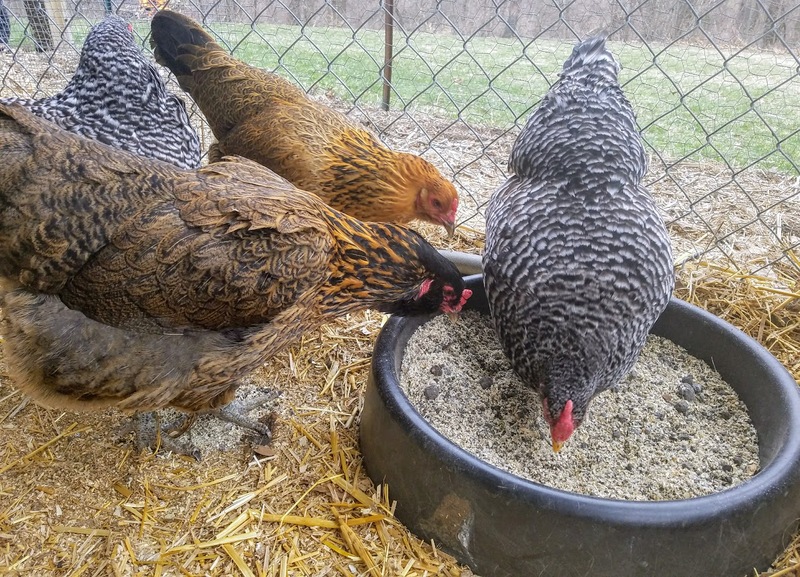 Fill a three-gallon plastic pan feeder with the dust bath mix and place in a dry, sheltered location in the chicken pen. Refill as necessary. 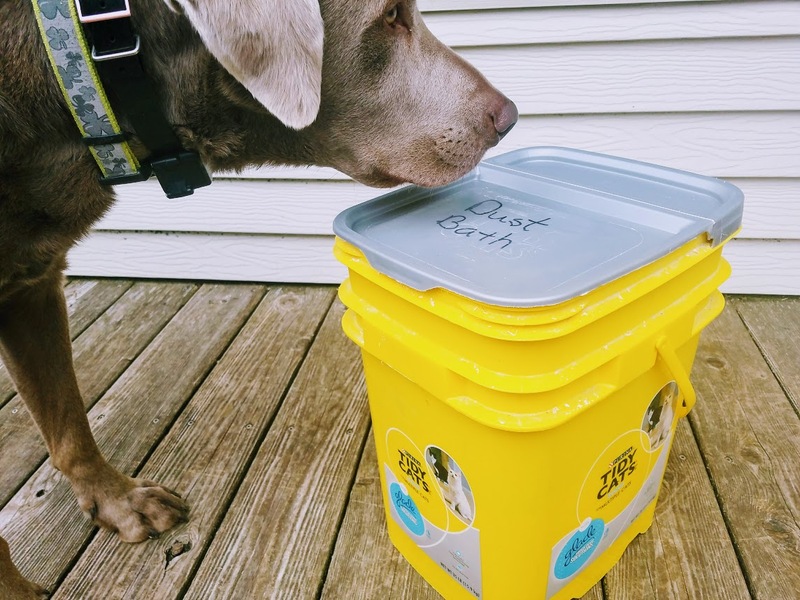 This entry was posted in Raising Chickens and tagged backyard chickens, chicken care, dust bath, recycling, suburban chickens by Deborah Neyens. Bookmark the permalink.